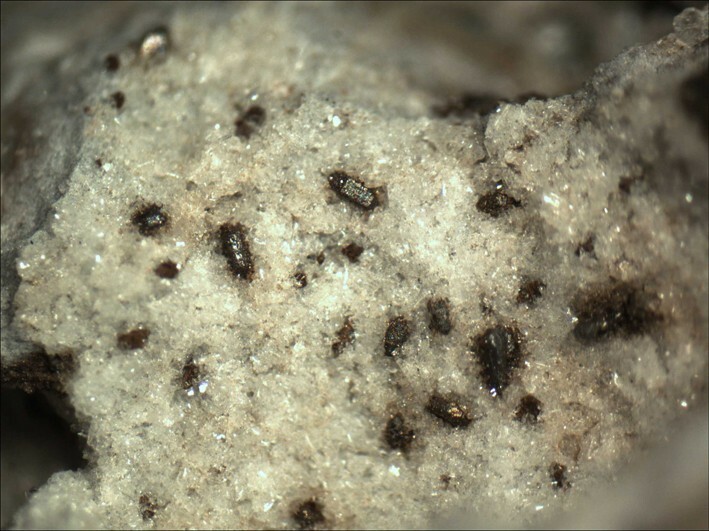 Laihunite: Mineral information, data and localities. After the type locality, Laihe Fe deposit, near Laihe village, Qianshan District, Anshan Prefecture, Liaoning Province, China. Corresponds to a strongly oxidised, vacancy-bearing fayalite. The "polytypes" 1M, 2M and 3M seem to be distinct intermediate phases (between laihunite and fayalite) with defined stoichiometries (Xu et al., 2014): 2M has a 1:1 ratio and 3M a 1:0.5 ratio. Fayalite 6 photos of Laihunite associated with Fayalite on mindat.org. 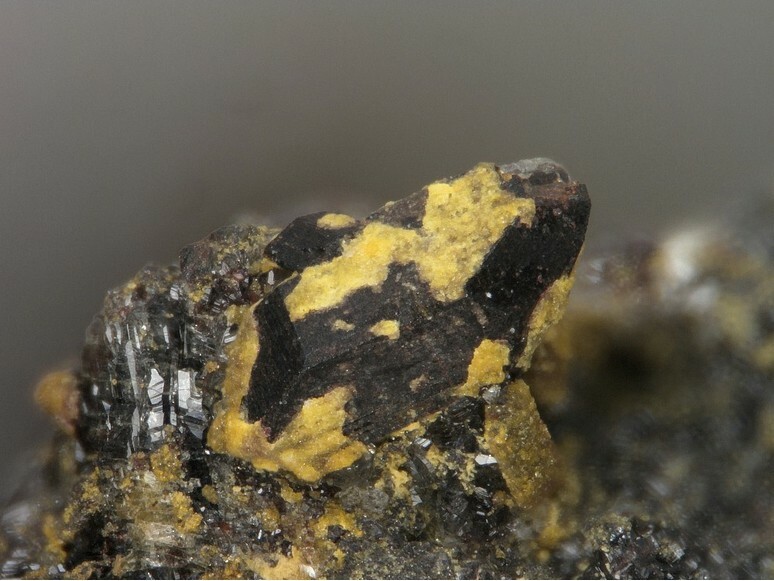 Laihunite Research Group, Guiyang Institute of Geochemistry, Academia Sinica and 101 Geological Team of Liaoning, Metallurgical and Geological Prospecting Company (1976): Laihunite - a new iron silicate mineral. Geochimica 1976(2), 95-103 (in Chinese with English abstract). - American Mineralogist (1977), 62, 1058 (abstract). X-ray Laboratory, Guiyang Institute of Geochemistry, Academica Sinica (1976): The crystal structure of laihunite. Geochimica 1976(2), 104-6 (in Chinese with English abstract). Shen Buming, Osamu Tamada, Masao Kitamura, and Nobuo Morimoto (1982): Superstructure of laihunite Fe(2+)0.5Fe(3+)1.0SiO4. Scientia Geologica Sinica 1982(3), 341-42 (in Chinese with English abstract). Tamada, O., Shen, B., Morimoto, N. (1983): The crystal structure of laihunite (◻0.40Fe2+0.80Fe3+0.80SiO4) - nonstoichiometric olivine-type mineral. Mineralogical Journal 11, 382-391. Kitamura, M., Shen, B., Banno, S., Morimoto, N. (1984): Fine textures of laihunite, a nonstoichiometric distorted olivine-type mineral. American Mineralogist 69, 154-160. Kondoh, S., Kitamura, M., Morimoto, N. (1985): Synthetic laihunite (◻xFe2+2-3xFe3+2xSiO4), an oxidation product of olivine. American Mineralogist 70, 737-746. Sueno, S., Matsuura, S., Prewiit, C. T. (1985): Fe-deficient olivine structure type minerals from Colorado, U.S.A. and Japan. Mineralogical Journal 12, 376-92. Zou Bensan and Guo Kexin (1986): HREM study of Laihenite. Acta Mineralogica Sinica 6(3), 217-19 (in Chinese with English abstract).- American Mineralogist (1986), 71, 1455-1460 (abstract). Shen, B., Tamada, O., Kitamura, M., Morimoto, N. (1986) Superstructure of laihunite-3M (◻0.40Fe2+0.80Fe3+0.80SiO4), American Mineralogist 71, 1455-1460. Dyar, M. D., Delaney, J. S., Sutton, S. R., Schaefer, M. W. (1998): Fe3+ distribution in oxidized olivine: a synchrotron micro-XANES study. American Mineralogist 83, 1361-1365. Khisina, N. R., Khramov, D. A., Kleschev, A. A., Langer, K. (1998): Laihunitization as a mechanism of olivine oxidation. European Journal of Mineralogy 10, 229-238. Naotaka TOMIOKA, Andreas MORLOK, Chiyoe KOIKE, Melanie KÖHLER, Monica GRADY (2012): Laihunite in planetary materials: An FTIR and TEM study of oxidized synthetic and meteoritic Fe-rich olivine. Journal of Mineralogical and Petrological Sciences 106, 157-166. Xu, H., Shen, Z., Konishi, H., Fu, P., Szlufarska, I. (2014): Crystal structures of laihunite and intermediate phases between laihunite-1M and fayalite: Z-contrast imaging and ab initio study. American Mineralogist, 99, 881-889. Ling, Z., & Wang, A. (2015). Spatial distributions of secondary minerals in the Martian meteorite MIL 03346, 168 determined by Raman spectroscopic imaging. Journal of Geophysical Research: Planets, 120(6), 1141-1159. Kolitsch, U. & Brandstätter, F. (2012): 1750) Anglesit, Apatit, Azurit, Fayalit, Humboldtin, Laihunit, Magnetit, Vonsenit und eine Cu-S-Si-O-H-Phase aus einer Kupferschlacke vom Lechnerberg bei Kaprun, Salzburg. Pp. 153-155 in Niedermayr, G. et al. (2012): Neue Mineralfunde aus Österreich LXI. Carinthia II, 202./122., 123-180. Laihunite Research Group, Guiyang Institute of Geochemistry, Academia Sinica and 101 Geological Team of Liaoning, Metallurgical and Geological Prospecting Company (1976). Laihunite - a new iron silicate mineral. Geochimica 1976(2), 95-103. Kondo et al (1984) Koubutsu-Gakkai Kou’en-Youshi, 136. Microprobe Vol 9 #4, November 2001, Minerals of Obsidian Cliffs, McKenzie Pass, Lane Co, Oregon; Martin, A.M.,Médard, M.,Devouard, B., Keller, L. P., Righter, K., Devidal, J-L., and Rahman, Z. (2015): Fayalite oxidation processes in Obsidian Cliffs rhyolite flow, Oregon. 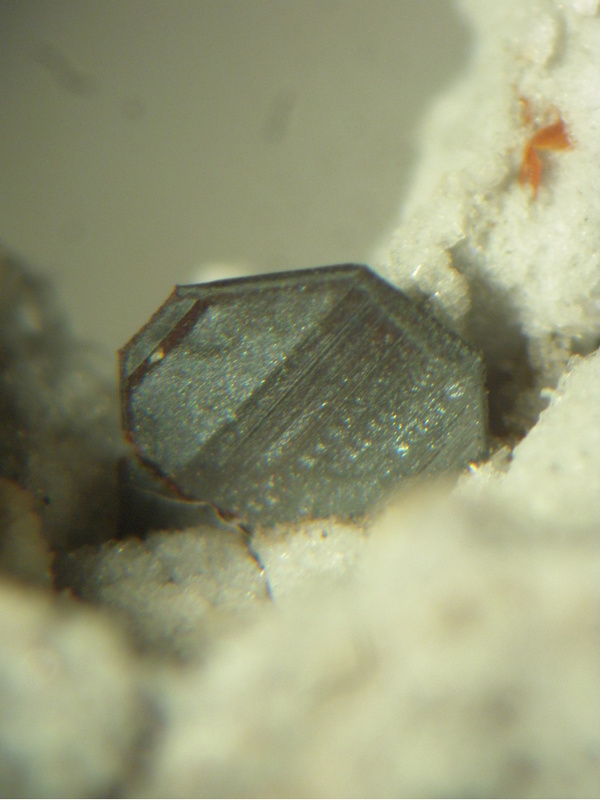 American Mineralogist: 100: 1153–1164.